Follow me and I'll be happy to follow you, too! Today is my day to post for My Cricut Craft Room! Today is Letter of the Day is.."E". 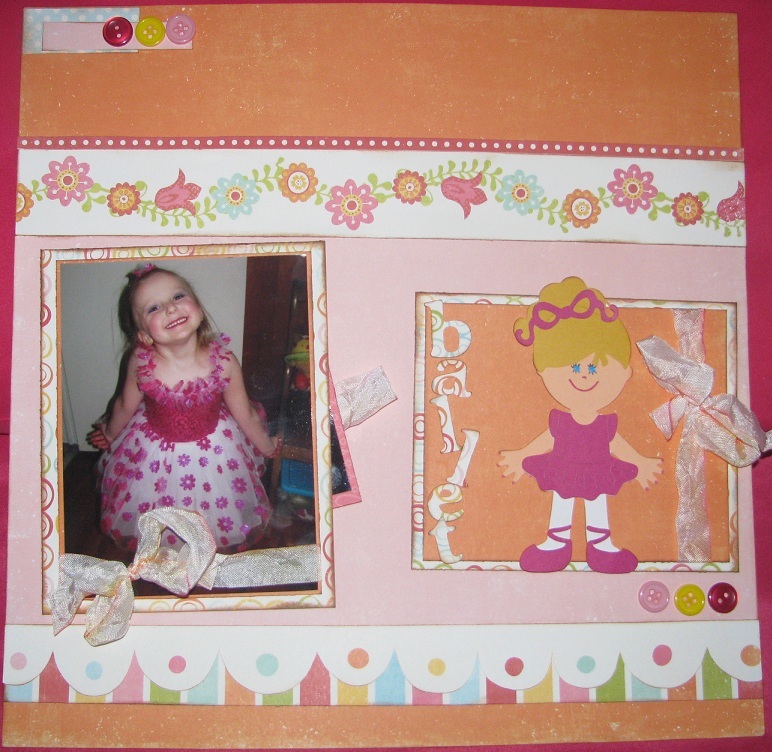 I have decided to decorate a cute little mini into an Easter Eggstravaganza album for my Easter pictures next year. This little mini only took a few hours to decorate and it was so much fun! I hope you like my MCCR project for today! Please stop by My Cricut Craft Room to see more wonderful projects like these!! Have a great day and a lovely week! Thanks so much for stopping by! So that's my project for today. I hope you like it! 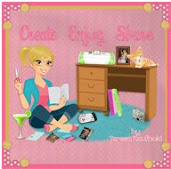 Please be sure to visit My Cricut Craft Room to see more projects like these made by my talented design team sisters!! As always, thanks so much for stopping by!!! Hi everyone! It's Monday once again! Hope you all had a wonderful weekend! Today I got some happy mail from my bloggie friend Maria. I recently won some candy from a contest I had entered. Her blog is called Joyful Stamper and she makes the prettiest cards! You should go by and check it out if you don't already follow her blog! She sent me some smash items and some adorable buttons which included some red glittery ones. I saw those buttons and ran into the craftroom to use them. They are so cute! Here's what I put together. I think it turned out pretty cute! Hope you do, too! It was quick and easy! Have you tried 3 Girl Jam Crinkle Ribbon yet? If not you should head over and get you some! They have a wide variety of gorgeous colors! They also have a "Beautiful Bow Maker" and it helps to make quick and easy bows and it's only $5.99! I love mine! :) Just click on the link above! As always, thank you for stopping by to visit! I hope you have a fabulous week! Hi all! 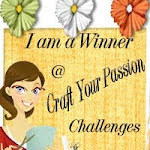 I chose a winner for the fun ribbons and buttons tonight using Random.org! The winner is..
Congratulations to you Tara! Please contact me by email and send me your info! My email is on the side bar on the left! Thank you!! A little "thank you" giveaway!!! Hey bloggie friends! I hope your week is going well so far! I was organizing in my craft room tonight and decided I have some extra ribbons, lace, floss, etc that I would like to give away~to one of my sweet followers~ just to say thank you! There are all different colors, sizes, kinds..so a bunch of randomness! I am also going to add in a baggie of misc. button goodness! 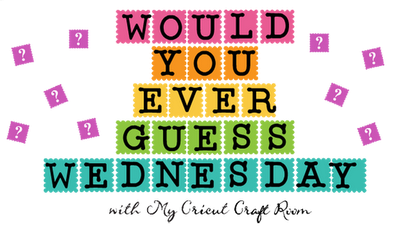 So, if you would like to win, just leave me a comment and tell me what your favorite movie is..just for fun! Mine is 50 First Dates with Adam Sandler and Drew Barrymore. I love that movie! Thanks for following along with me! I appreciate each and every one of ya! I will use Random.org to pick one winner on Friday, July 20th. Good luck! Hi friends! I hope you had a fabulous weekend! Today is my day to post for My Cricut Craft Room! Today is "My IMAGINEation Monday" so I had to use my Cricut Imagine machine for my project. I haven't been using my Imagine much lately but I do love it! It makes fast and easy projects. I hope to use it more now that I got my desk cleaned off! Here is what I put together for today. I used the "Better Together" Imagine cartridge for the title and tea cup. I cut the tea cup at 3 1/2 inches and the title at 3 inches. The large yellow die cut I just used the cut only function and the shapes that comes built into the machine. All of the patterned papers are from Erica. I used a fiskars border punch for the black strip at the bottom, some twine, added some journaling, and voila'..that's all. Here's the title closer up. I did not do the layers this time. Here's a closer up view of the little tea cup. I hope you like my layout today. For more inspiration please visit My Cricut Craft Room and what my talented design team sisters have made to share! I added all of this extra stuff with a paper clip..love how its holds extra photos and random stuff like my diecut squirrel I made. Hope you like my pages! If you haven't tried "smashing" yet..you should! 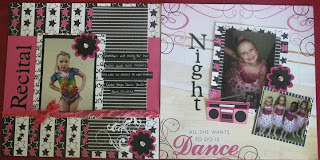 It's stress free scrapbooking for me..LOVE IT!!! Thanks so much for stopping by to visit! Hi everyone! Today is my day to post over at My Cricut Craft Room! Today, I am supposed to use a Cricut cut that is not a featured one. 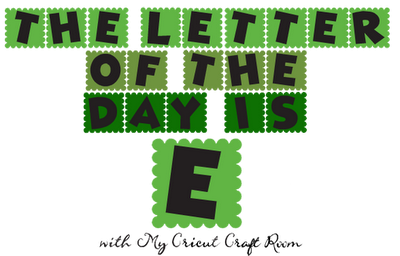 It helps us explore our cartridges! :) This was my sneek peak.. Here is my cute but simple card! I cut this little card using the Sweetheart cartridge. I cut it at 5 inches. I used Core'dinations cardstock for the card base. I used the TPC Studio Happy Spring paper line that I got from Erica. I cut little pieces of the different papers and glued them to cover the hearts/holes, so you could see the pretty patterns peeking through. I used my Hello Kitty Cricut cartridge to cut the "I Love You" sentiment. I then took the papers and covered the mess I made on the inside of the card by covering all of those hearts. I used one of the hearts that was left after cutting the card, to add a little cuteness. Lastly, I added some twine and tied a little bow. That's all! Please be sure to check out my design team sisters' projects over at My Cricut Craft Room! Thanks soooo much for stopping by!! 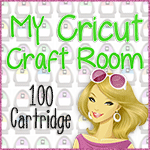 I am super excited and honored to be chosen as a new design team member for My Cricut Craft Room! I can't wait to get to know all of my fellow design team sisters and to make some fun projects to share with you all! Thank you so much, Erica, for choosing me to be a part of your awesome team!! 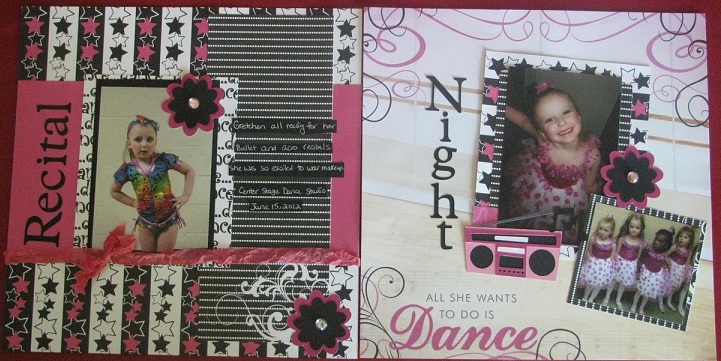 I used numerous dance papers for this 2 page layout. I cut the title using Plantin School book and cut it at 1 1/2 inches. I used the Rock Princess cartridge to cut the boombox and cut out all of the layers at 2 1/2 inches. I cut the flowers using the Flower Shoppe cartridge. The pink I cut at 2 1/2 inches and the black ones I layered on top I cut at 2 inches. I added some cute little gems in the center of each flower. I added some 3GJ crinkle ribbon, and my white jelly roll pen on some black cardstock and cut into strips for my journaling. I hope you like my project for today! Next you should go to Lisa's blog here.. Here is the whole line up in case you get lost along the way! A Bunch of Thank You's and a WINNER from the 3GJ Blog Hop! Hello all! Hope everyone is having a good week so far and hope you are keeping cool! I don't have any crafty projects (by me) to share but I want to show some gifts my SWEET friends have sent me in the past week or two. I also am going to pick a winner for the suprise grab bag from the 3 Girl JAM Beautiful Bows Blog Hop! As you all know, I had my Well Owl Be Blog Hop recently and a bunch of my friends made amazing projects to share. I have since received some of those in the mail! My friend Julie sent me a super cute card and some 3 Girl JAM Crinkle Ribbon as a "thank you" for asking her to be in my 1st hop. here's what she sent! Of course this "cherry lipstick" and "antique white" 3GJ crinkle ribbon was all nicely packaged but I dove right in and used it before I thought to take a photo! lol I LOVE this stuff! Thanks so much, Julie, for my adorable card and ribbon!! I LOVE it all!! I also received this totally caaauutee owl gift box, card, and stamps from my friend Jessica E from Chick-n-Scrap. I am in love with this little owl!! 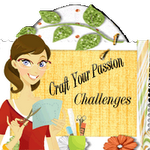 Then, recently I won a gift card from Sheryl from Ink and Lace with Sheryl during a Fresh Brewed Designs Blog Hop. I chose what I wanted and Heather, the awesome owner of FBD got my gifts right out to me. Here's what I got! Look how cute!! I love the stamps and the twine! Thank you Sheryl and Heather! 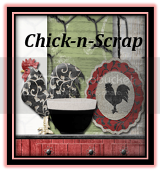 On July 14-16th is the "HOT" Blog Hop over at Fresh Brewed Designs..you won't want to miss it! 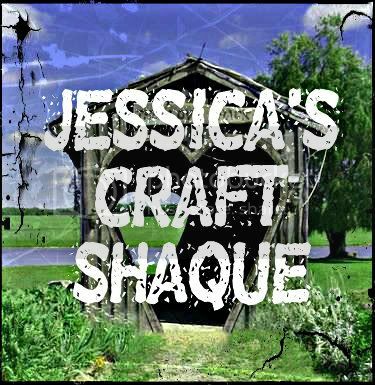 I also won some twine from my bloggie friend Jessie during a Getting Cricky Blog Hop recently! She sent me 9 wonderful colors and a sweet card, too! Looky here! Now this was neatly packed but my almost 4 year old was "just looking at it" and this is the result! LOL I love all of these beautiful colors! Thank you so much, Jessie!!! Last but not least, my SFF (sweet friend forever), Jessica S. from Jessica's Craft Shaque, made me this amazing owl mixed media canvas! Can you believe it's her first mmc ever?! I can't! 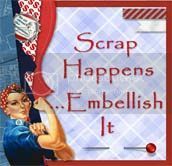 I love this..She brought it over to me last week and it has a new home in my craft room! Congrats, Norma! Please contact me and I will send you your prize soon! Alright, friends, it's time for me to go and get crafty! Please come back on Sunday because I will have some news to share! :) Thank you, everyone, for coming by, following, and commenting! I really appreciate every one of you!!! Hi Friends! 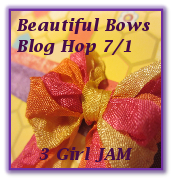 Welcome to the 3 Girl JAM Beautiful Bows Blog Hop!!! I am so honored that Julie K. asked me to be a special guest designer for this hop! Thank you so much, Julie! 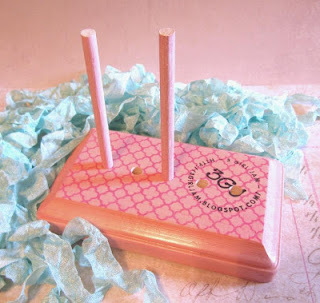 This Hop will feature the BRAND NEW 3GJ Bow Maker! This Bow maker is available in 2 beautiful colors/patterns! The Bow Maker will sell for just $5.99! There will also be a SALE until July 5th on crinkle ribbon bundles~Buy TWO get one free! How sweet is that?! For this card I used~ DCWV cardstock from the Mango Stack, polka dot paper from scrap pile, Owl was cut from Hoot n Holler Cricut cartridge, 3JG Crinkle Ribbon in baby boy, cherry lipstick, and Daffodil, Distress Ink in Vintage Photo, corner punch, ATG,and Stardust Stickles. For this frame I used~yellow cardstock from my stash,Lost & Found 2 patterned paper, both sides, green, kraft, and brown papers from scrap pile, CTMH Art Philosophy Cricut Cartridge for house, Sugar & Spice Cricut Cartridge for monkey (I cut off bow), Webster's Pages alpha stickers, heart punch, Distress Ink in Vintage Photo, and 3GJ Crinkle Ribbon in Daffodil and Antique White. I hope you like my creations today! They were a lot of fun to make! I will give a little suprise grab bag to ONE follower so be sure to leave me a comment!, I will pick a winner on Tuesday, July 3! Good luck! Now, if you have arrived here from Julie, you are on the right track. If you just came here from your dashboard, please go to 3 Girl JAM to get started! to link up your Beautiful Bows!!! Now, it's time to head on over to Jessica E's blog to see her beautiful bows! Thank you so much for stopping by and hopping today!! Hi! Thank you so much for visiting my blog! My name is Heather Lynn and I live near Cleveland, Ohio. I am a stay at home mom. I have 5 children~ Trevor and Alexander,my twins, age 8. Elijah is 7 , and Gretchen is 4. My new baby girl, Ryelynn was born on October 26, 2011. I have OCD, so I am always cleaning something, unless I am doing paper crafts, which helps me relax and forget about the toys all over the floor. Please feel free to ask me any questions! Thanks again for stopping by! My First Hop was amazing~Thank you all!!! My Fall owl hop was so successful!! Thank you to all of my friends! I won at 3 Girl JAM! Yeah! Loved Guest Designing at 3GJ! Loved Guest Designing at Getting Cricky! Wonderful Bath and Body Goodies by Shelley!